CUP O FLORA is host to a large variety of plants. From foliage to blooming varieties and from delicate herbs to hardy succulents, it's easy to match your pot with a plant. Here are a few that our experts recommend. A beautiful flowering plant with white, pink or purple flowers. Light: Bright light but no direct sunshine. Humidity: Low to medium humidity. Do not mist as water may damage leaves. 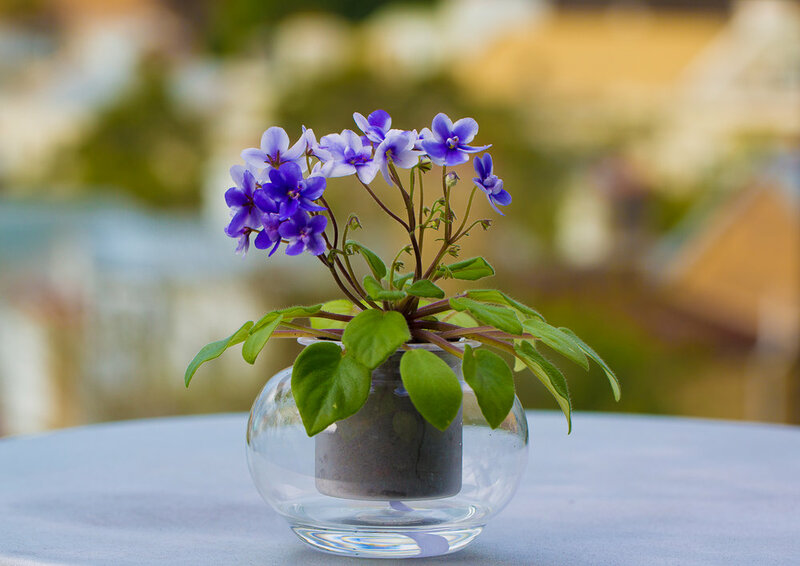 Fun Fact: The mini variety (pictured) looks great in the small pot, while the medium sized Violet fit nicely into the large pot. 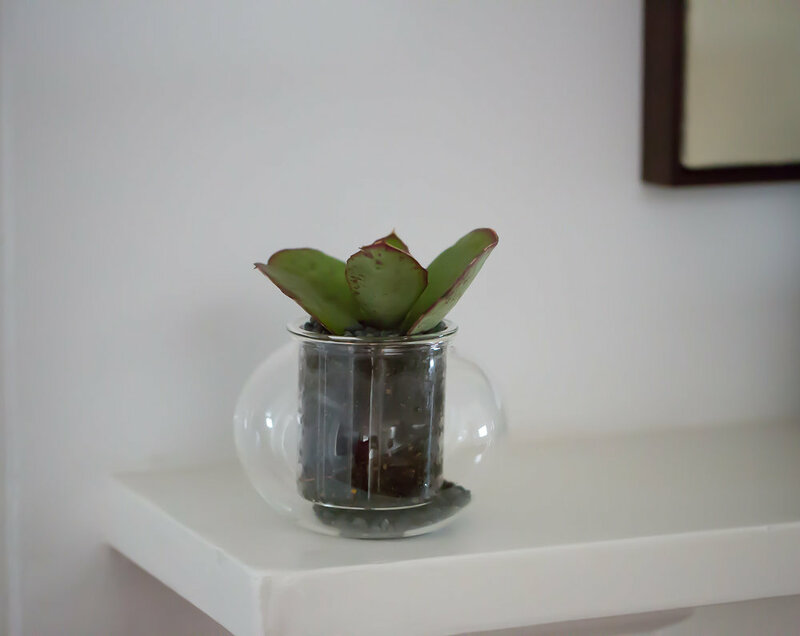 A popular indoor plant suitable for a home or office environment. Light: Bright light but no direct sun. Humidity: High humidity. Mist occasionally to promote healthy leaves. Optimal Temperature: 18-32°C (plant will tolerate temperatures between 8-35°C but is not frost-resistant). 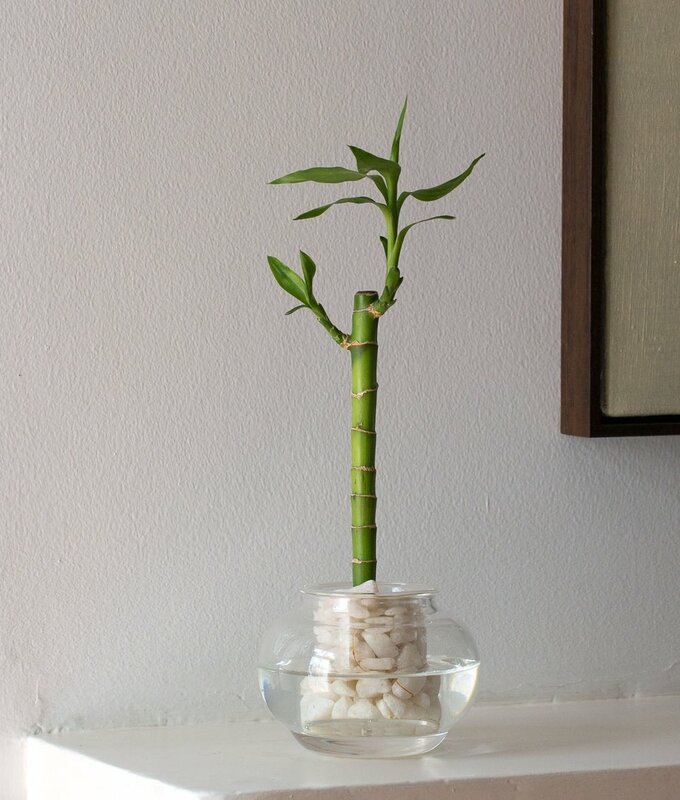 Fun Fact: A tall white flower will emerge if you keep the plant on the window sill but away from direct sun. Light: Bright light. No more than 2 hours of direct sunlight each day. Humidity: This palm will tolerate low to high humidity. Mist occasionally to promote healthy leaves. Optimal Temperature: 20-27°C (the plant will tolerate lower temperatures but may not grow new leaves). Fun Fact: New leaves will emerge from the centre of the stem. 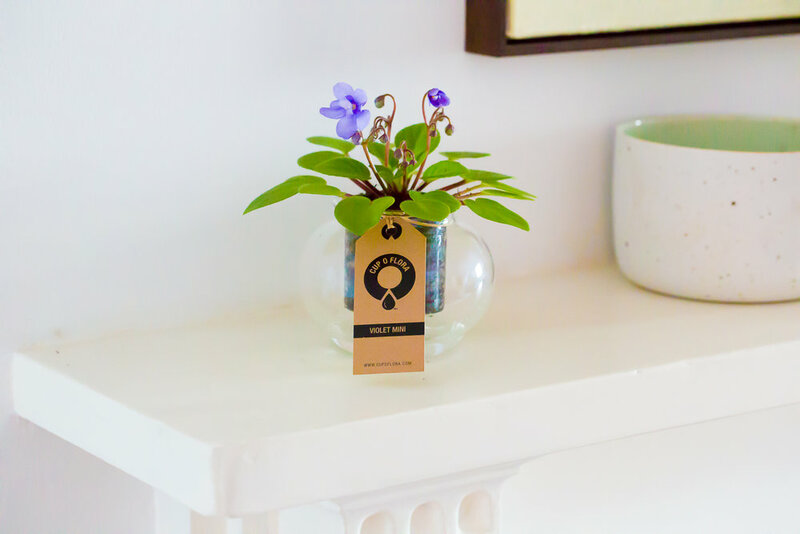 An easy-to-grow plant featuring colourful leathery leaves. Light: Bright light. A minimum of 3 hours of direct sun each day will enhance leaves’ colour. Humidity: High humidity. Mist daily if possible. Fun Fact: A native of the tropics, Crotons are found naturally in Southeast Asia and the Americas. A popular indoor plant that can grow in soil or water. Light: Grow in a well-lit area away from direct sunlight. Fun Fact: The plant can grow without soil. Use pebbles the stabilise the stems and feed with a liquid fertiliser once every two months. Hardy plants with a variety of flowers and leaves. Light: Bright light. Plants will thrive if given several hours of direct sunlight each day. Fun Fact: leaves change from green to red when exposed to the sun.